Would you like to enjoy the 90’s Rock anthems with the live performance of the famous Turkish rock band Acil Servis? 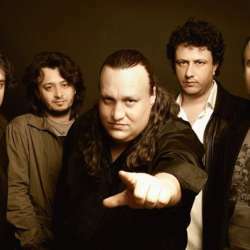 The rock band Acil Servis (in English it means Emergency), is performing the most famous rock anthems in the well known rock bars of Istanbul since Protected content . Also they have made two albums made up of their own songs. I am more than excited to share that event taking place in Protected content (it used to be Shaft before) where Acil Servis will perform a live music performance with a great repertoire of 90’s rock spirit. According to my previous experiences most of the songs they perform are from worldwide rock hits but generally in the first half of the concert they also play some Turkish rock songs including their own songs. As the place is not accepting any reservations and can be so crowded time to time it would be better for us to take our place in the bar before the concert. We can meet in front of Protected content 23:45 and have some drinks together until the beginning of the performance which will be at 00:30. Hope to see you there and enjoy the great music together!